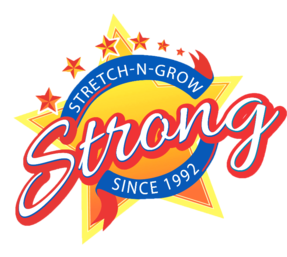 Stretch-n-Grow is the world's largest network of children's fitness professionals! Welcome to Stretch-n-Grow of the Triad! This year marks our 16th year serving children, families, and child care centers! Stretch-N-Grow Stars participate in weekly sessions which include exercise, cardiovascular and strength training, fun stories and activities, lots of different types of equipment, and weekly discussions on health and related issues such as nutrition, hygiene, muscles, bones, vitamins, and safety. 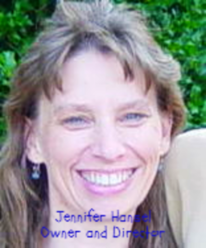 * Fun aerobic exercise every week, taught by a certified youth fitness instructor! * Every Stretch-n-Grow class works on strength, coordination, endurance, flexibility, balance, and agility. * Lots of fun equipment in each class including streamers, bean bags, balls, balance beam, parachute, resistance bands, scarves, obstacle courses, limbo, theme activities, and LOTS of great upbeat music. * Children learn about muscle function and learn the names of all the major muscles in their bodies. * Children receive a weekly coloring sheet on the health topic of the week. * Parents and teachers receive a monthly newsletter with tips for home, nutritional tips, fitness activities and a summary of the month's activities. Click To Fill Out The Enrollment Form! choose your packages and then proceed to checkout! Stretch-n-Grow is the world’s largest network of Certified Youth Fitness Professionals! We originated in Galveston, Texas in 1992 after an intense study that revealed alarming statistics concerning the health of America’s young children. Our founders set out on a mission to change this course of children’s lives everywhere, and we have since expanded to thousands of cities around the world and millions of children have participated in Stretch-n-Grow!